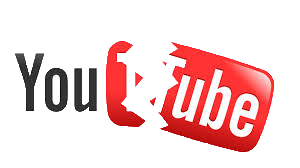 [Fixed] How to Fix YouTube Crash Error on Android, iPhone, Windows (10), Mac, etc? 9 tips to stop YouTube (app) from crashing on Chrome, Firefox, Android, iPhone, etc. YouTube has become a place we visit every day. However, YouTube would suddenly crash on Android, iPhone or other devices after several seconds of playing any video. Moreover, some people report that their Chrome or Firefox browser always crashes when playing YouTube videos online. YouTube crash is one of the most common YouTube errors. To help you watch YouTube videos online through YouTube app or website smoothly, we have compiled all possible solutions to troubleshoot YouTube crash problem. 9 Fixes to Solve YouTube Crashes on Android, iPhone, Windows (10), Mac, etc. The first thing we need to do when we come across YouTube crash error is rebooting our app, browser, and device. If restarting doesn't work, try the solutions below. If YouTube app keeps crashing on iPhone, Android or your other devices, check if this could be fixed after updating the app to the newest version. • For Android users, go to Google Play, click on Menu and choose My Apps & Games, go to UPDATES tab and locate YouTube, and then tap on the UPDATE button beside it. • For iPhone users, open App Store, tap on Updates at the bottom right, find YouTube and click UPDATE on the right side. If YouTube still crashes on the latest version, sometimes you can prevent YouTube app from crashing by uninstalling and reinstalling it. We will fill up our browser's cache or YouTube app's cache fast if we often get access to YouTube and watch videos one after another. If we clear it regularly, our browser/app will have enough resources to play videos smoothly. • For clearing cache on Android, go to Settings -> Apps -> press YouTube and tap on CLEAR CACHE. Additionally, you can clear data. • To delete YouTube app cache on iPhone, you can simply uninstall it and reinstall it later. • If you encounter YouTube crash on Chrome, Firefox, Safari or other browser on Windows (10) or Mac computer, just remove cache of your browser. Adobe Flash player is a significant element to ensure that you can watch online videos properly. If it is corrupted or outdated, your YouTube videos would be loaded slowly, and crash from time to time. What's worse, a corrupted Flash Player is often a major security hole that lets malware into your computer stealthily. Here let's show you how to update Adobe Flash Player on Chrome as an example. 1). Open Chrome on your computer, and enter chrome://components/ in its address bar. 2). Locate Adobe Flash Player from the components list and click on "Check for update" under it. • Status – No update: There is no available update for the Flash plugin. • Status – Component not updated: The update failed for some reason or another, or there was no update available and thus the component was not updated. 3). Close and reopen Chrome for the new Adobe Flash Player plugin to load. One reason for YouTube crash is file association error. This issue is found in your system registry and will have bad influence on your browser and other applications. Fortunately, you can make use of a registry cleaning tool to fix the error, thus solving YouTube crash problem. As a matter of fact, keeping system registry healthy can not only fix YouTube crash but also let your computer run more efficiently, because it is an essential part of your computer system. If Google Chrome crashes when you play YouTube videos, download Windows Updates and see if it works. 4. Click "Check for Updates" button. 5. Download and install all new updates found. Slow network connection is a possible reason for YouTube app crash. If it crashes when you're using Wi-Fi, try the following tricks. • Turn off Wi-Fi and turn it on later. • Disable Airplane Mode and enable it again. • Reboot your device and router. • Try a different network if there is. YouTube app crash would happen when there's no enough space on your device. For space releasing, you can delete unwanted apps, pictures, videos and other files, or move them to other storage devices. • To delete apps on Android, go to Settings, navigate to Apps, tap on Downloaded App, and choose target apps to uninstall. • To uninstall undesired apps on iPhone, simply hold on the app icon until it starts shaking and tap the "X" on it to delete. For more tips to free up iPhone space, please refer to post "How to Clean Up iPhone 8/7/6 Fast". Update the OS of iPhone, Android, etc. YouTube video crash could result from old-fashioned OS your device uses. After updating, YouTube probably work normally and your device performance will be enhanced. • Android OS update guide: open Settings -> search for About Phone -> tap Software Update or System update. • To reset Android, open Settings, navigate to Backup and Reset, choose Factory Data Reset, and then tap on Reset phone. • To reset iPhone, go to Settings, scroll down to General, choose Reset, and then tap on Erase All Content and Settings.